Water has been a hot topic at the Legislature ever since last summer when the Governor initiated a statewide conversation about this subject. AMWUA had high hopes at the beginning of the year that the Legislature would tackle Arizona's water challenges. Unfortunately, the legislative session ended 12:26 a.m. Friday morning without a drop of meaningful water legislation. The failure of lawmakers to act means Arizona’s water challenges are continuing to grow. The Colorado River is facing one of the driest winters on record. The level of Lake Mead, the river’s largest reservoir, continues to drop. If Lake Mead’s elevation falls to 1,075 feet, the U.S. Secretary of the Interior will declare a Colorado River shortage. Arizona’s share of this vital supply will be reduced by 320,000 acre-feet. Further declines in elevation will mean further cuts to Arizona. A shortage declaration would impact the entire state, its economy and how Arizona is perceived. During this year’s legislative session, the Arizona Department of Water Resources (ADWR) floated a proposal to voluntarily leave more water in Lake Mead to help prevent a shortage declaration. Unfortunately, the Legislature failed to even consider it. Arizona’s inability to move forward on Colorado River issues has created uncertainty throughout the entire Colorado River system, which in turn places Arizona at greater risk. The Legislature's inaction was complicated by a dispute between ADWR, the state’s leading water agency, and the agency that operates the Central Arizona Project (CAP), which is the system of canals that transports Colorado River water from Lake Mead to Phoenix and Tucson. Each agency has its own view about how to maintain Lake Mead levels and stop a shortage declaration. CAP’s approach angered the states that share the Colorado River and has delayed an interstate agreement among California, Nevada, Mexico and Arizona to stop the fall of Lake Mead. ADWR and CAP have recently agreed to resolve this dispute so Arizona can move forward and work with other states toward a solution. The Legislature also ducked any significant proposals to address groundwater pumping - even where residents wanted support from the state. Counties in central and southern Arizona continue to benefit from the 1980 Groundwater Management Act, which helps to protect aquifers from being over pumped. Other parts of the state don’t have the same protections in state law. Mohave, La Paz and Cochise counties are facing obstacles as more and more new wells are drilled and groundwater supplies are being depleted. Since most groundwater in Arizona is not replenished, continued pumping without restraint threatens the future of these areas. During the latest legislative session some lawmakers showed increased interest in addressing looming water problems. However, many Legislators failed to grasp the urgency and gravity of Colorado River and groundwater issues. The blame for the Legislature's inability to address Arizona's water challenges must be shared with members of the water community. Some in the water community minimized the need for action and put their self-interests above the common good. First, restore a positive working relationship between the Arizona Department of Water Resources and the Central Arizona Project. A new attitude of coordination and cooperation between these two essential water agencies is imperative to protect Arizona’s Colorado River water users. Last week, both expressed a commitment to work together. Now action needs to speak louder than words. Second, adopt a more robust Arizona program for conserving more water in Lake Mead. We have successfully conserved water to avoid shortage for the last four years. Let’s build on that success by doing more. Without preparing for more conservation, Lake Mead is threatened with a deep, long-term shortage that poses significant risk to Arizona's economy. ADWR and Arizona Colorado River users agree more must be done. ADWR has put forth a conservation proposal to coordinate the storage of more water in Lake Mead. CAP should work with ADWR to make this plan succeed. Third, strengthen Arizona’s relationship with the Colorado River Basin states. Without cooperation, the entire Colorado River system is at risk. ADWR must continue to take the lead for Arizona in this interstate collaboration. Fourth, find a way to protect groundwater users in rural areas where excessive pumping is depleting groundwater. Measuring and reporting of groundwater in urban areas has been the law since 1980, which has benefited the residents and businesses in these areas. The effort to protect rural water users should begin with knowing how much groundwater users are pumping. Without that information, we cannot fashion solutions that many rural areas want and deserve. We need to remember that groundwater in Arizona is a public resource to protect all property owners, and does not belong just to landowners with wells, which some people continue to incorrectly claim. Now that the election season is about to begin, we need to make water a priority. Of course, teacher salaries will continue to be a key priority, but without secure water supplies, our economy won't generate the revenue to ensure our schools and businesses are competitive. 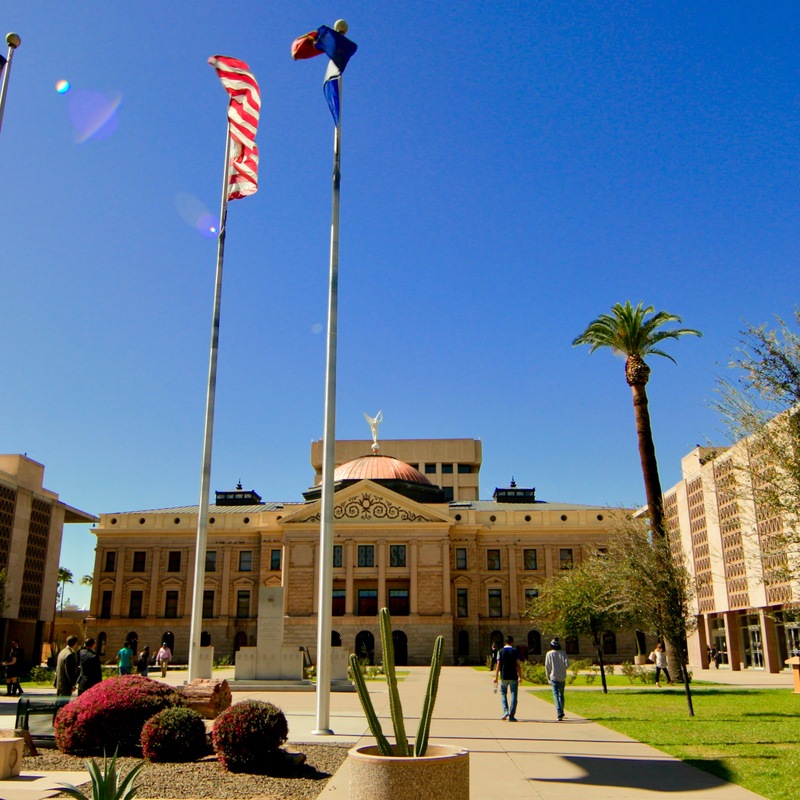 Voters elect Legislators and board members who operate the Central Arizona Project. (On your ballot, the CAP board is called the Central Arizona Water Conservation District (CAWCD) Board.) So ask your candidates for the Arizona State Legislature, for the CAWCD Board, and for other key leadership positions what they know about our water challenges and how they intend to address them if elected. And more importantly, ask them to act. For nearly 50 years, AMWUA has worked to protect Valley cities' ability to provide assured, safe and sustainable water supplies to their communities. We stand ready to work with ADWR and CAP and all parties to find meaningful long-term solutions for Arizona’s water.